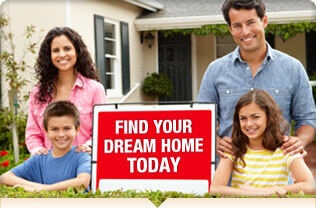 Cheap Houses | Find Cheap Homes for Sale NOW! If you are in the market for a new home, then you are more than likely going to consider cheap houses for sale, such as foreclosed homes. There are a variety of discount properties on the market ranging from short sales and pre-foreclosures to REO properties; however, what is the best way to find these bargain homes? There are several ways to find discounted properties for sale with some of them being more effective than others. For example, you can always drive around until you see a for sale sign on a property and then call the number listed to determine the listing price. Similarly, you can ask friends, family members, and coworkers if they know of any discounted properties that are currently on the market. You can even call banks and request information about foreclosures. Although each of these methods can prove to be successful, they are also incredibly time-consuming and less effective than another method - searching foreclosure listings. The most effective way to find cheap real estate is to rely on foreclosure listings. These listings provide the most up-to-date and convenient way to find discount properties that are currently on the market. Plus, you can tailor your results by searching for properties in a given area or with specific criteria (i.e. number of bedrooms). Therefore, if you are looking for cheap houses for sale, then rely on foreclosure listing services to quickly find properties to meet your needs and increase your savings throughout the country. If you are looking for cheap homes for sale, then it is important that you first start with understanding your investment purpose. For example, are you purchasing the property to be your primary place of residence or are you looking to buy foreclosed homes for income purposes? Primary Place of Residence: One option when searching for a foreclosure property is to simply purchase the property for your primary place of residence. Purchasing a discount property can help you reduce your overall mortgage payment and can help you save money throughout the duration of your home loan. Vacation Home: Another option is to purchase cheap homes for sale at one of your favorite vacation destinations. When you are not using the vacation home personally you can even rent the property out for an opportunity to have your property produce earnings. Business: Along with purchasing discounted properties for places to call home, others will turn these properties into businesses. Everything from lawyers’ offices to bed and breakfast homes can benefit from the savings that comes with purchasing foreclosures and other distressed properties. Renting: Investors tend to purchase discounted properties as a method for income purposes. Some investors purchase homes, make minor to moderate renovations to the properties, and then put them on the rental market - making a profit from rental income. Flipping: Other investors, on the other hand, purchase discounted properties and after making repairs they sell the property for a profit. There are many reasons to purchase cheap homes. The first step to making a smart investment decision is to determine your investment purpose and then find a property that will best meet your needs. Now that you know how to buy a cheap house, it is important to know what to consider when buying discounted properties. Below are some key things to remember when buying or investing in foreclosures, short sales, or other distressed properties. Location: When purchasing any type of property, it is essential for you to take into consideration the location. Regardless of whether you are purchasing the property as your primary place of residence or if you are looking to make the home an income property, the location is key. Make sure to learn more about surrounding attractions, transportation services, neighborhood reputation, and school districts. Repairs: Along with the location, some properties may need minor to moderate renovations. Therefore, it is essential that you take the estimated cost of making these repairs into consideration when purchasing the property. The total cost of the home will be the purchase price plus the cost of repairs (if needed). Regardless of whether you are looking for cheap homes for sale for living or investing purposes, make sure you take the location and cost of repairs into consideration when making your purchasing decision. Although you may already know that you want to look for cheap homes for sale, you may not be aware that there are many different types of cheap homes for sale. From discounted homes that make excellent rental homes or low priced vacation homes (including cheap beach houses) to log homes, there are a wide variety of discount properties that can be used to meet your living or investing needs. Along with your everyday brick and mortar homes, you can often find cheap mobile foreclosures (trailer homes) on the market. These properties are built almost entirely off-site and are transported to the home site for assembly (which typically involves putting completed pieces of the home together at the build site). Just like other types of properties, mobile homes can be used for primarily residences, vacation homes, or income properties (for renting or flipping). Along with mobile homes, you can often find cheap manufactured homes (also commonly known as prefab homes) on the market. These properties are built in a factory and then shipped on a flatbed to the build site for assembly. Like other properties, manufactured foreclosures can be used for a variety of living and investing purposes. In conclusion, there are many types of cheap foreclosed homes that range from brick and mortar homes to mobile homes and prefab homes. Each of these properties has one thing in common - they can often be purchased below market value and therefore tend to be great investment opportunities for potential home buyers and investors alike.